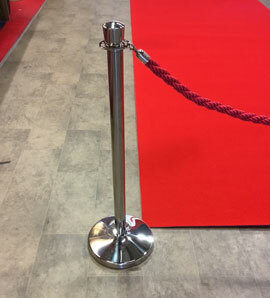 Why hire, when you can own a beautiful, quality red carpet for a similar price?! Hotels, Event Planners, Award Ceremony & Wedding Organisers and Gala Reception venues all know how important first impressions and a quality event carpet can be. A quality white wedding carpet is a stunning addition for any event, especially when made from high quality materials and tailored specifically for the event. All our white wedding carpets are designed around you and your requirements. No matter the shape, size or colour, we will design and create quality event carpets that are perfect and designed to best suit your event. White wedding carpets are something that not many weddings often use; they stand out and are perfect when accompanied with matching decor. The team behind the making of our white wedding carpets have many years of experience meaning that the final product is of the highest quality possible. Event carpets are designed to make a statement and astound guests. It gives them a sense of being VIP and makes walking down the aisle that much more special. Want to enquire about getting white wedding carpets for upcoming events? Give us a call today on 01726 816572 and speak with a specialist. We will go through your requirements and provide any information you need before getting a beautiful new carpet delivered to your door. We don't only supply the carpets either, we have a wide range of carpet accessories that are designed to make the carpet last longer or just look even more stunning. From stair rods and carpet end plates, our accessories are the perfect solution when looking to make a wedding carpet that much more stunning. Our stair rods and barrier poles are available in a range of designs to enable you to fit them in with the style and feel of the event. 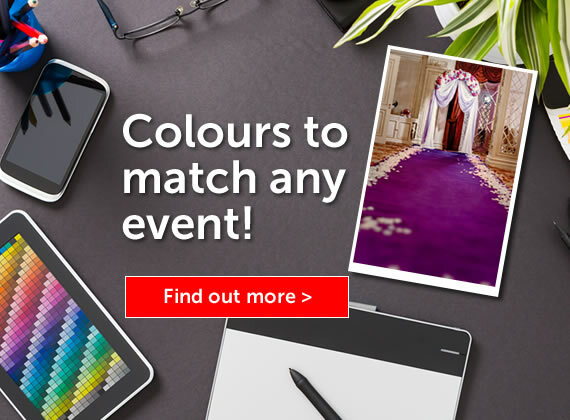 We are certain to have something that suits your wedding and with a range of other accessories including stain protection and non-slip backing, we ensure the carpet keeps its beauty for multiple events. No matter the design specifications, we will supply a stunning white wedding carpet to match. Available in any shape or size, we tailor the carpet to our clients exact specifications for the best result. Accompanied by accessories that make the carpet stand out; you can truly create a memorable event for many happy couples. Operating across the UK with some repeat business being based throughout Europe, we have seen our stunning white wedding carpets be used for a broad range of events that have allowed many couples have a very special, memorable day. Want to find out more? Contact the specialists here at Custom Made Red Carpets and we will create an outstanding carpet; perfect for any event. "I just wanted to say thank you. The colour and size was spot on and it looked amazing laid in our lobby. We had numerous positive comments from both guests and hotel staff"
Just to let you know the carpets arrived and look brilliant! Thank you very much for such a speedy turn around and great service." "Thanks for the prompt service and a high quality carpet that looks great!" Would you like to see the quality of the carpets right in front of you? Fill in our simple form and we will post you a FREE sample pack. No obligation! Email, call us, or submit the sample request form for free, no obligation samples - our event carpets cannot be beaten on colour & quality. Want to know how little a event carpet is going to cost? Try using our price calculator to estimate the cost for your carpet. Take a look at some of our finished carpets, see all the colours available and the quality for yourselves.